This A/W (Autumn and Winter) we are seeing a classic 80s colour return to our High Streets and catwalks, and it’s the smooth almost chocolatey burgundy! A rich full-on deep red…which incidentally is this season’s new black and a fabulous choice of colour the Christmas season. I have featured in style in this fabulous colour and also in red. 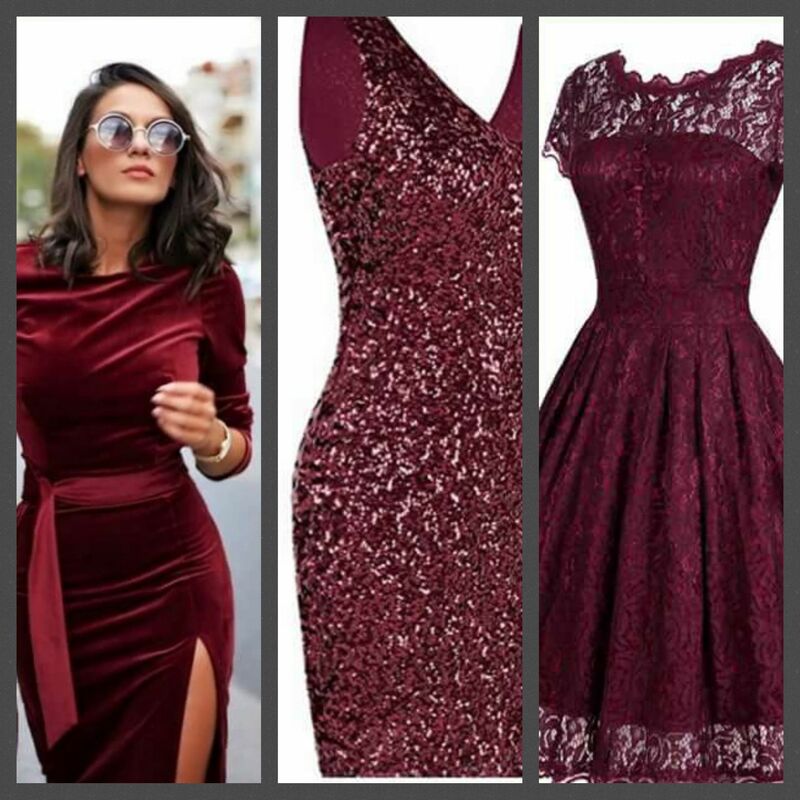 The first dress in the featured picture shows a luxurious velvet burgundy dress tight-fitting across the hips to show off your beautiful curves and a flattering full bodice with long sleeves. It also features a wide tie waist belt. This beauty is available online from Comino Couture. Next in line is a beautiful burgundy sequined bodycon dress simply divine teamed up with a pair of black patent pumps and you’re good to go. The final dress in the featured sequence is a 50s inspired swing dress full heavy lace with under slip also in burgundy. These two dresses are available from Amazon. Our next picture shows a bright red lace 50s inspired rockabilly dress. This dress is sleeveless and features a polka dot over slip. It is also a plus size to UK 28 available from Amazon. To the left of this image is a pair of 50s inspired peep-toe platform heels with large red flowers that would look great with our plus size dress. Angie Roberts is seated and holding her white cane in front of her. She is looking like a rock star in her fabulous oversized shades, a sheer black cover-up over a black flapper dress, and jewelry. Mmmmm…love it! Or hate it? 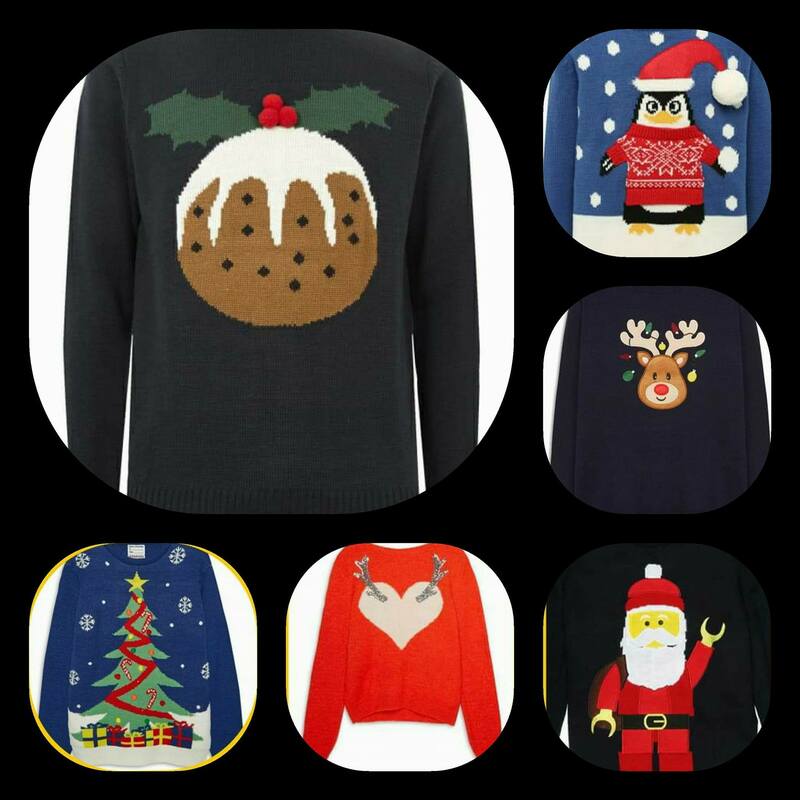 In the UK we have this tradition it’s called ‘The Christmas jumper’ think back to Mr. Mark Darcy from Bridget Jones’s Diary, he was hot but not his Rudolph the Red-Nosed Reindeer jumper!!! A quite nice red jumper with a cream heart and sparkly gold reindeer antlers, I like that one it’s kinda cute and low-key lol. The dreaded Christmas Penguin with Santa hat and snowballs! The jumper itself is a lovely mid blue which is quite pleasant. Christmas tree and gifts with delicate snowflakes not for me! The jumper is again a lovely royal blue. A black jumper with a red nose Rudolph with gems hanging from his antlers. Then there’s this one I am afraid of Christmas pudding with a sprig of Holly on the top. No, it doesn’t work for me. The last thing I want is to look like is a Christmas pudding! Girls… introducing the studded jeans! Oh how I love, love these. Not only are they tactile with sparkly gem, diamonds, pearls, and disco balls, they’re fab fashion statements. From small gems to huge full-on gems and studs, Christmas is around the corner so treat yourself. Check out your high street and online search for studded jeans. 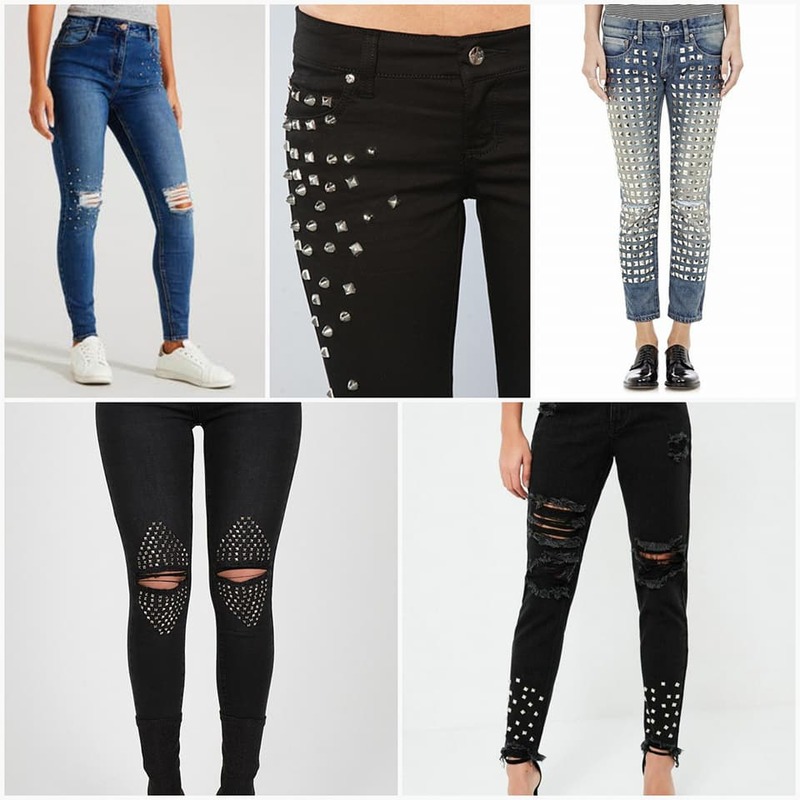 Pictures show an array of studded jeans. In black, faded blue, and indigo. Some have that designer rip. Love it or hate it…it’s back and blinged up! Some of the designs just have little discrete studs on pockets, while others are to the side or above the knee or even around the rip. Or spectacular full on bling running the full length of both legs which could be tricky to wash. I would suggest inside out in a pillowcase. Enjoy the fun ladies get some bling in your life I got mine, cuz Diamonds 💎 R a girl’s best friend! Angie Roberts is seated while holding her white cane in front of her. She is looking like a rock star in her fabulous oversized shades, a sheer black cover-up over a black flapper dress, and jewelry. 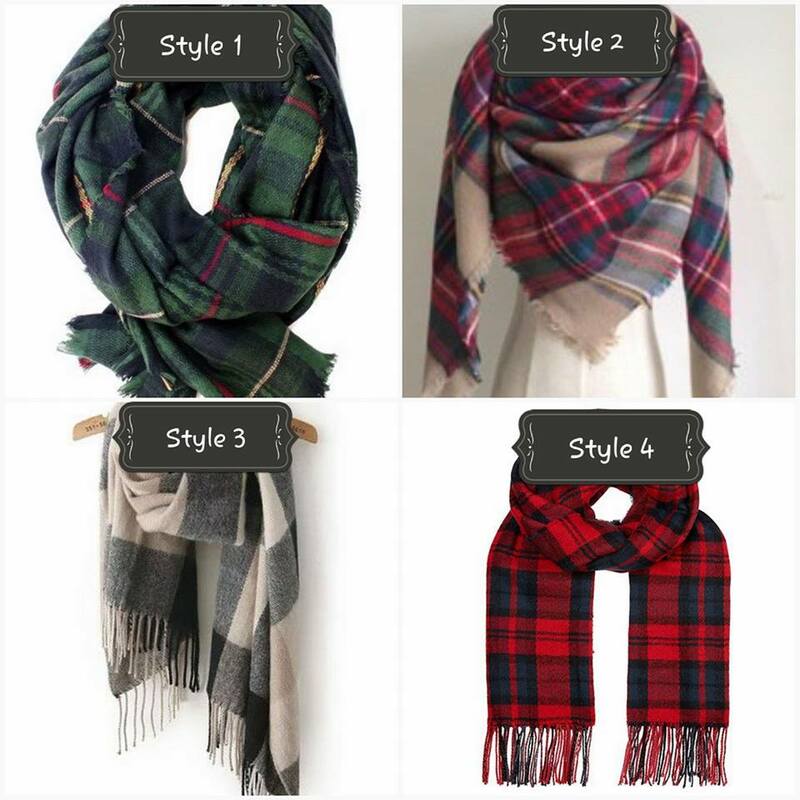 with a strong Scottish tartan influence, so why not be seen about town sporting one of these? Style 1 is a typical green check with fragments of navy blue, yellow, and red, this a traditional tartan check. Style 2 and my personal favourite, is an oversized cream background red check with lines of red, green, yellow, and blue criss-cross to form a chequered pattern. Style 3 is a bold grey black and cream check with a fringe tassel trim. This is a fabulous statement scarf, worn with a black cocoon coat, you’ll be bang on trend this autumn and winter season. Style 4 is a red and black check simple and stunning with a fringe tassel. Search for Chequered scarves. Winter’s gonna be fun!